Hmmmm... I just noticed that my DAO looks a little different than the pic posted. Mine had the FN logo on the pistol grip, and it has an HOD (hold open device). RamRod wrote: Hmmmm... I just noticed that my DAO looks a little different than the pic posted. 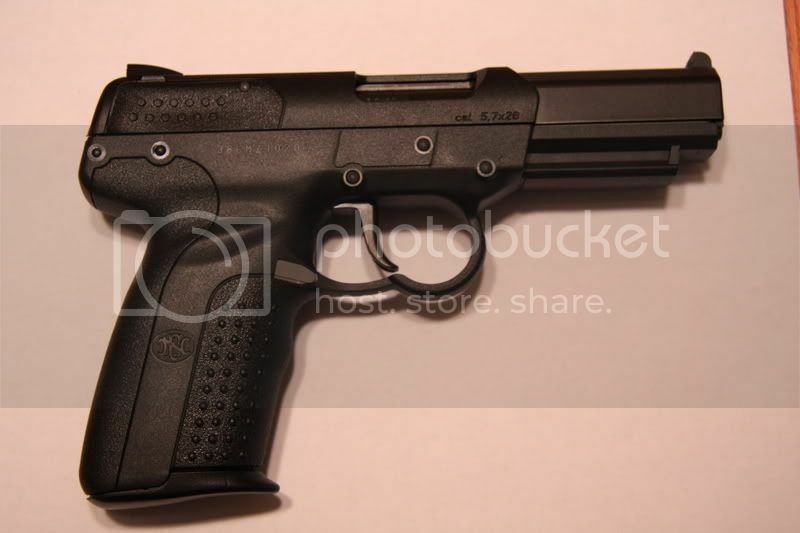 Mine had the FN logo on the pistol grip, and it has an HOD (hold open device). Esteves wrote: I've also seen variations in the DAO model slide covers and controls. I believe (but could be wrong) that yours is later in the chronology. It looks like you also have the night sights. Can anyone tell me which variat this is? The mags are marked LE/Gov only. I know it is a tactacal model with a 1 stage trigger and it does not appear to have a magazine safety. The serial #386MZ50XXX. It is in great shape and if know an estimated value would be welcome. I just paid $875 for it with 2 20rd Mags in the FN case but without the cleaning kit or lock. It's a tactical, and you got a heck of a deal on it. Why is that such a good deal? What's this thing worth? wow, nice find! One heck of a deal. I bought this gun back in May this year serial # 38. I went on the fiveseven forum and they called it a prototype. I noticed no pictures here so here is one. I paid $710 including tax for it. I sold it in July. Since I can't seem to post a picture here there are lots of pictures on this thread on a different forum. See posts 23 and 24. Yep, I remember you posting that. There is a size restriction on posting photos now though. Just keep them <800px wide. If you can find an LEO who will sell it to you, it's legal to own in PRK. 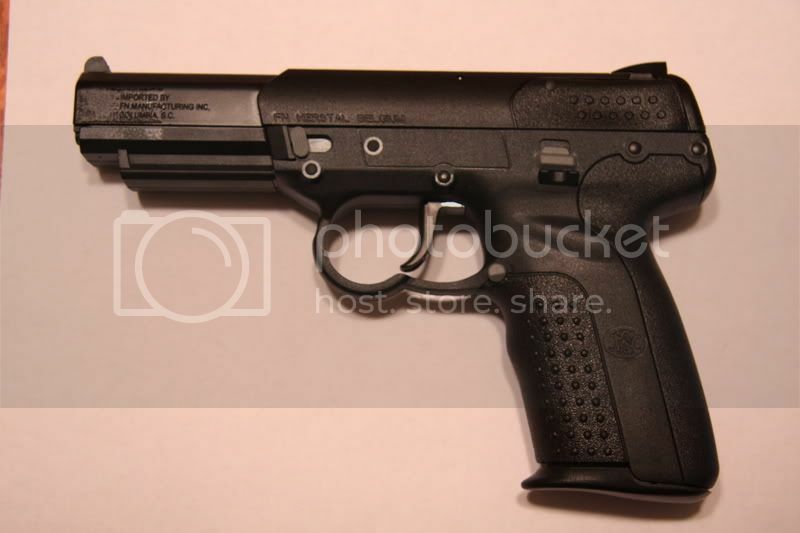 I have a FiveseveN pistol that, from the information on the forum, appears to be a variation between the original version distributed (in the picture) and the "next"? version. How might I go about finding out more information? DAO version, old and worth a lot of money. why would this variant be worth more than the newer models being sold now?